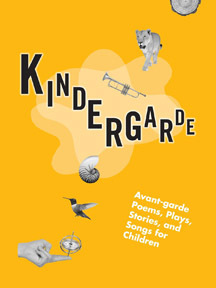 With over eighty contributors ranging from seven years old to poets no longer with us, this collection of playful works and wide-ranging styles of play on language certainly earns the “most fun anthology to read” award. The title suggests that the book is “for children” and while they can certainly enjoy the contents, this collection also serves as a valuable teaching tool for educators. 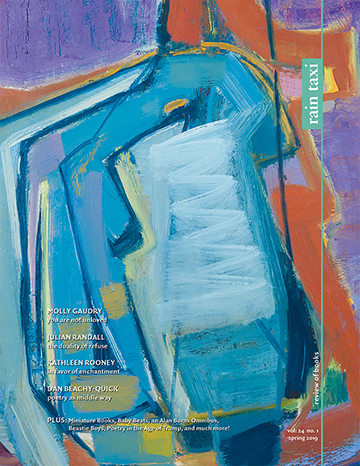 Because it contains some of the most active and interesting poets writing today, it also serves as an engaging anthology for writers, especially those who like to play with language in the vein of the Surrealists and Dadaists. Charles Bernstein offers silly nursery rhymes, Joan Retallack engages in a playful Seussian rhyme about a cat, and Kenneth Goldsmith plays with the alphabet and sounds. These are influential poets who have published widely in their field not just as poets, but also as critics and theorists; here in this space, the playful side of their writing is the focus. Poets reading this text have the chance to delve into new territories with their favorite writers, while children or adults not as familiar with contemporary poetry can approach these poems without any sense of struggle. Language poetry in this company is less a movement and more a return to basics. A poet like Vanessa Place who wields often cerebrally challenging verse is framed here in a space of simple recognition as to how words bounce around each other. This is really what makes this book a resource: it’s framing of diverse poets harkens back to a “kindergarten” sensibility, one in which play is serious business and all serious business is about playing. Douglas Kearney offers a play about “word play” in giant fonts that dance vertically about the page. Language and images jump around the texts inviting the reader to wade into the visual as well as the verbal fun of the game of making writing. One example of how this anthology can be used as a teaching tool is Juliana Spahr’s piece, which offers instructions as well as photographs for performance art pieces. Take “jumping piece,” where everyone jumps up and down for as long as they can (the accompanying photograph shows a group of kids intently enacting this performance). One way of introducing kids to art is to take them to museums and plays and let them perform the role of audience and spectator. For children, the more indelible way to approach art is to be part of the making, and this book stresses this way of engaging with poetry and plays. Spahr’s piece notwithstanding, the book’s general lack of instructions creates a sense of removing the rules from poetry writing and instead allows the reader to discover how the poem is made, and how they too could mimic or swerve from the example they are given. The visual poems of Brian Strang or collage pieces by Julie Patton offer artistic interpretations beyond the words on the page. In a radical sense, Rachel Zolf’s bar code pieces challenge readers to understand what a poem might be and what traditional genres look like on the page. For more experienced readers, the knowledge that several of these pieces were not created for a child’s anthology but were chosen from collected works already published again gives the framing of these works in this new space a startling juxtaposition. Over twenty pieces used in this anthology were published previously and presumably in texts considered for adult readers. With a majority of the texts then created for children, this juxtaposition opens up an interesting dialogue about audience and about the writer’s intent. Probably the only drawback to this impressive collection of writing is the lack of a CD to accompany the texts. As a learning tool, hearing poetry can be invaluable to young writers and even adults would probably enjoy hearing recordings of some of their favorite poets returning to the kindergarten side of their selves. The back of the book tells us that the Kindergarde Performance team brings this book to life, but it would have been a nice touch to have some of that available in a media portion of this publication. Regardless, the array of poets stepping up to present avant-garde approaches to writing for young writers is unprecedented; the anthology is a gift to writers of any age. This entry was posted in Uncategorized and tagged Summer 2013 on October 23, 2013 by admin.